Kiev Fashion Insitute, a one of a kind fashion education project in Ukraine, presents an 8-hour long lecture 'Management supports creativity' held by Dario Golizia. A fashion consultant with 20 years of industry experience Dario has been taking part in fashion education for about 15 years now. 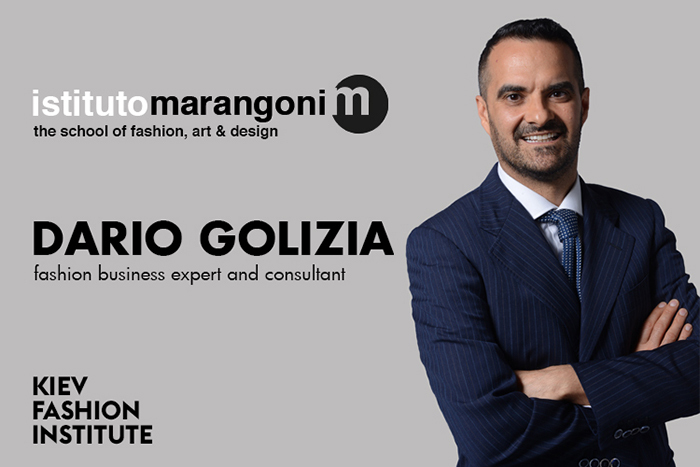 A Fashion Business course supervisor at Istituto Marangoni Milan since 2001 he's been sharing own experience regarding Luxury Brand Strategies and Fashion Marketing. Get more information and apply for an express-course right at Kiev Fashion Institute website.